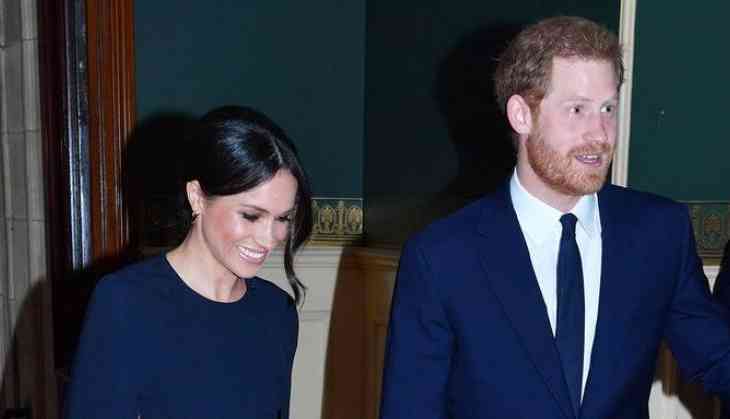 The royal couple Meghan Markle and Prince Harry were seen at Queen's birthday concert, they attended the Invictus Games reception earlier in the day. Later, they were spotted in a navy blue costume at the birthday concert. Meghan Markle wore a stunning navy blue cape outfit by Stella McCartney and paired it with matching blue heels. She also carried a Naeem Khan Armory Zodiac Clutch, also a pretty penny at $1,490, decorated with constellations of sparkly stones. Meghan's outfit matched with her future husband, who also wore navy for the occasion. 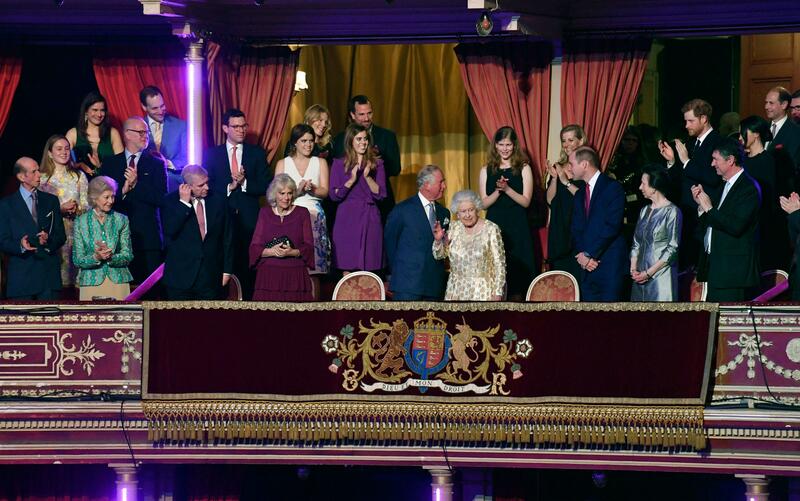 The Queen's birthday concert took place at Royal Albert Hall, you can see Markle standing beside Harry in the same box as the 92-year-old monarch and the rest of the royal family members. Pop singer Kylie Minogue and a banjo group led by Ed Balls, Frank Skinner, and Harry Hill also performed at the birthday. Prince William and Kate Middleton were not seen at the birthday concert as Kate is expecting a third child.